NOTE: After signing and submitting the petition you will not get a confirmation. You will be directed to a iPetitions donation page - if you do not wish to donate, simply close the browser window. The properties at 6655 Twin Lakes Road, 6500 Twin Lakes Road, and 0 Kalua Road have been used for passive recreational use by the surrounding community for decades. These fields are part of a wildlife corridor that connects the Twin Lakes Open Space to other Open Space parcels to the South. They also provide habitat and food for various animal species in the surrounding area including coyotes, minks, red foxes, cranes, white pelicans, osprey, and other raptors. A pair of Great Horned Owls nests nearby year after year, utilizing the fields to hunt for food for their owlets. These fields are an integral natural feature of the surrounding neighborhoods. They provide space for physical activity and scenic vistas to the people in the Gunbarrel Subcommunity. Every day you can see people walking or riding their bikes through the fields and occasionally you see someone on horseback! The 2010 Boulder Valley Comprehensive Plan (BVCP) Trails Map includes a proposed trail through these properties. Completion of this trail would be a great benefit to the community. 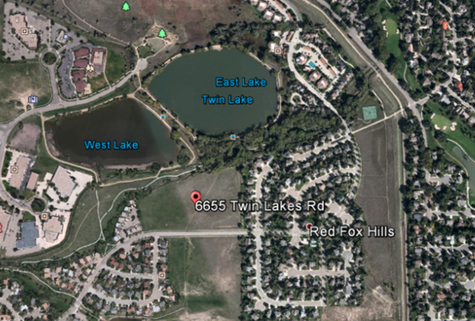 Boulder County Housing Authority (BCHA) and Boulder Valley School District (BVSD) have submitted proposals to the BVCP to change the land-use designations for 6655 Twin Lakes Road, 6500 Twin Lakes Road, and 0 Kalua Road to Mixed Density (6 – 18 units/acre). If this passes, they will seek to “leapfrog annex” the properties into the City of Boulder (through a flagpole annexation or by annexing nearby County Open Space) and rezone them to a much higher density in order to build 120-240+ multi-unit rental apartments on these 20 acres! For comparison, the Red Fox Hills subdivision is made up of 116 houses on 51 acres. This great increase in housing density will radically change the Rural/Suburban Residential character of the surrounding neighborhoods and threaten the local wildlife. Traffic, noise, light pollution, and on-street parking will increase. Lack of services (bus stop, shopping) within walking distance makes this a poor choice for high-density housing. An independent hydrologist’s analysis in June 2015 identified 6655 Twin Lakes Road as a high groundwater area with “very limited” suitability for development. He warned that construction of large structures (buildings and parking lots) will decrease the ability of the parcel to absorb rain runoff and will significantly increase the risk of basement flooding in the adjacent homes. Enhance the functioning of adjacent wetlands and the wildlife that depend on them. Reduce flood risks and threats or costs relating to the high water table. Provide passive recreational use and scenic vistas to the Gunbarrel Subcommunity. Provide a great opportunity to reestablish a native prairie ecosystem to the area which would further enhance the habitat of the local wildlife that frequent the nearby Twin Lakes Open Space. For additional information visit TLAG.org. By signing this petition, you are showing that you oppose any land use designation change or zoning change for 6655 Twin Lakes Road, 6500 Twin Lakes Road and 0 Kalua Road that would result in increased housing density than that which is presently allowed under their current zoning. Also by signing this petition, you are showing that you oppose annexation of these properties into the City of Boulder. By signing this petition, you are also showing that you support these three land parcels being designated as County Open Space as part of a Greater Twin Lakes Open Space area. NOTE: After signing and submitting the petition, you will be asked if you would like to make a donation to iPetitions.  Unlike other sites, they do not sell your information to a third party or allow advertising. However, if you do not wish to donate, simply close the browser window, your signature will have been recorded.